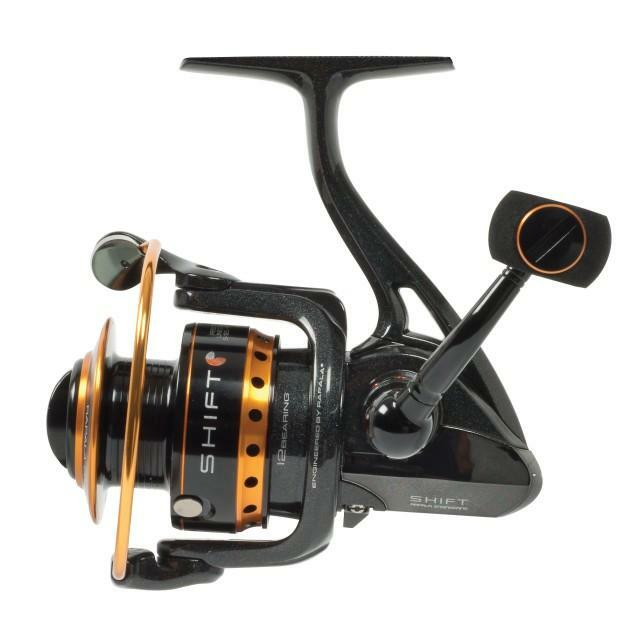 The lightweight design utilizes an all metal body which keeps gears aligned and perfectly meshed with no flex and makes a stronger, more durable and totally efficient fishing reel design. The 11 double-shielded stainless steel bearings and a precision-machined aluminum pinion gear, worm shaft and main shaft contribute to the durability and performance of the Shift spinning reel. The exclusive Rapala bail trip mechanism is reliable and easily engaged. A SIC Ti-Gold line roller guide helps to eliminate friction and line twist.